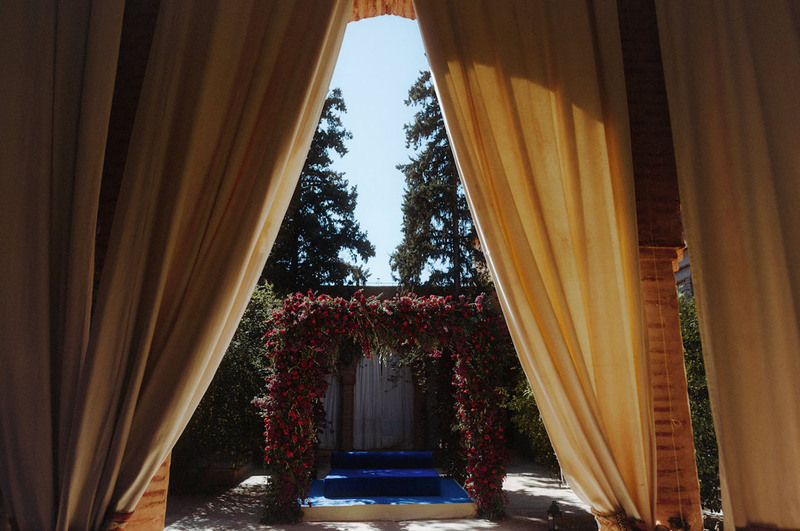 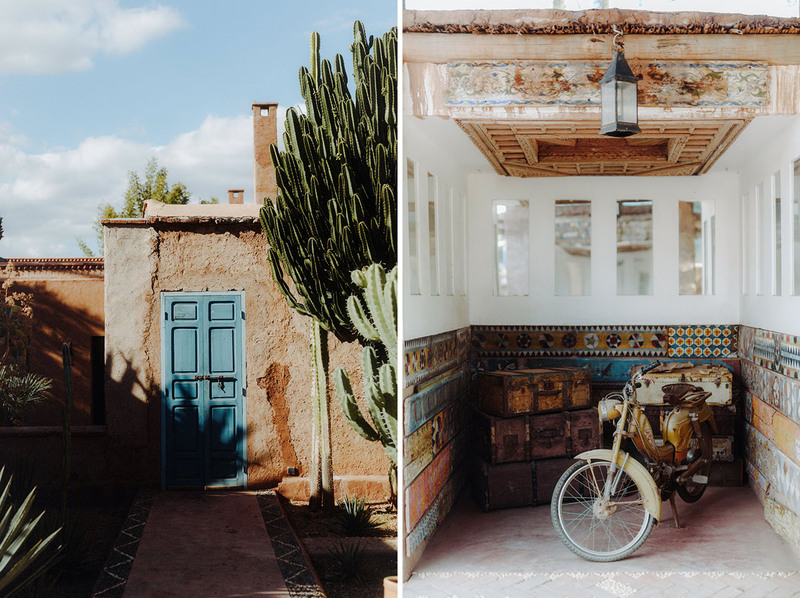 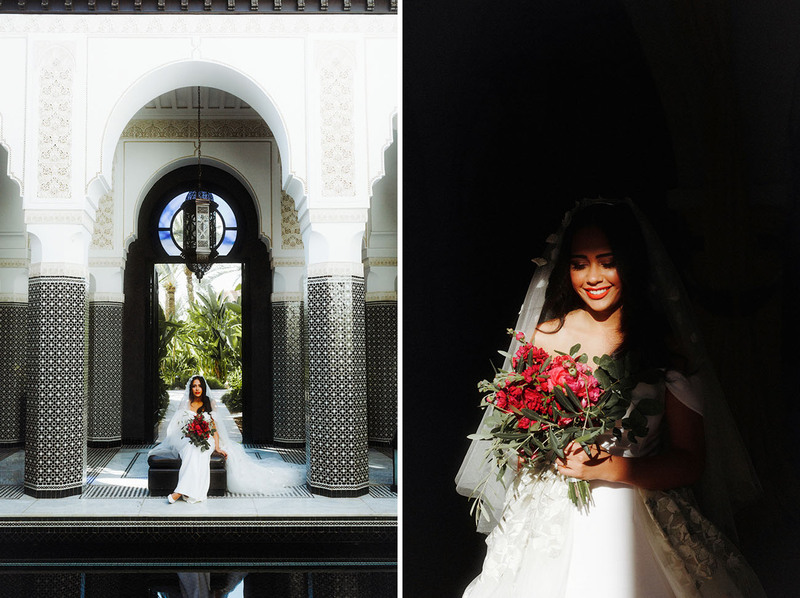 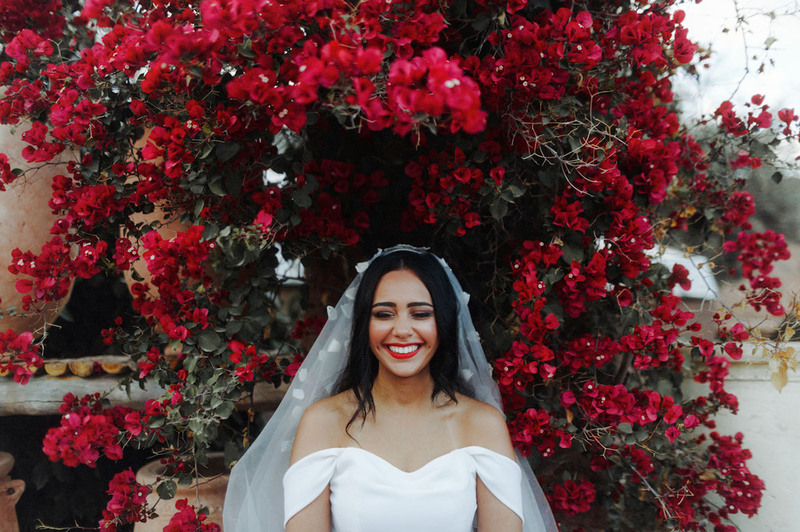 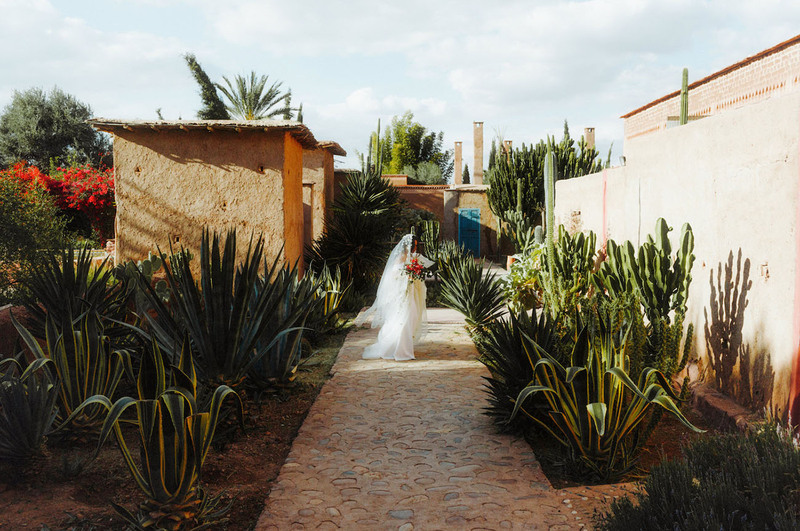 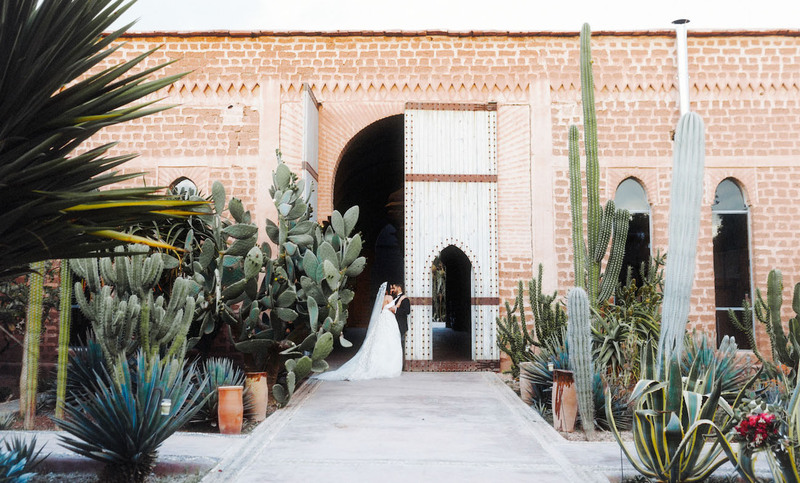 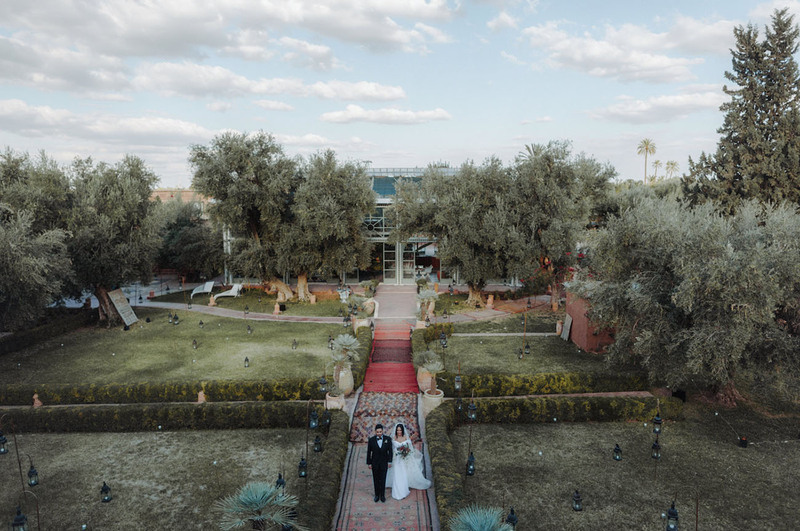 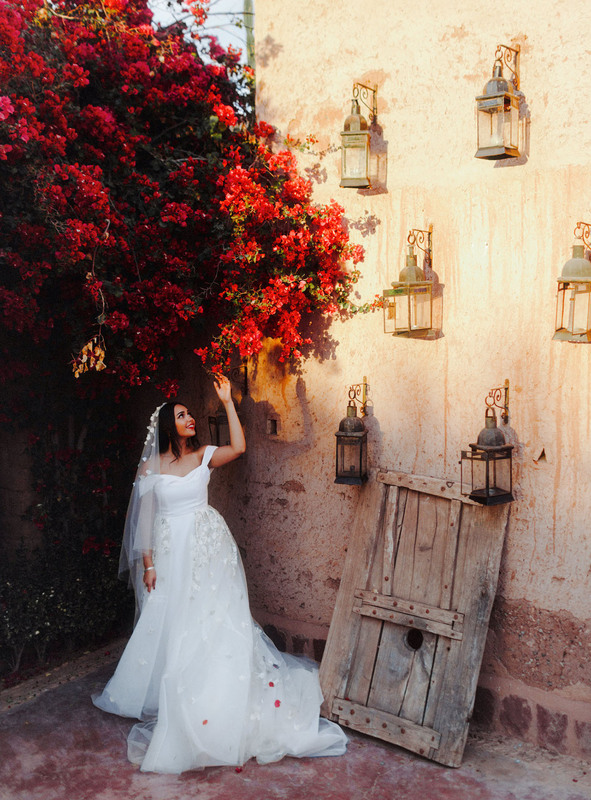 Starting a week off with a wedding as beautiful as Alaa + Issam’s festive, cultural celebration in Marrakech can only mean really (really!) 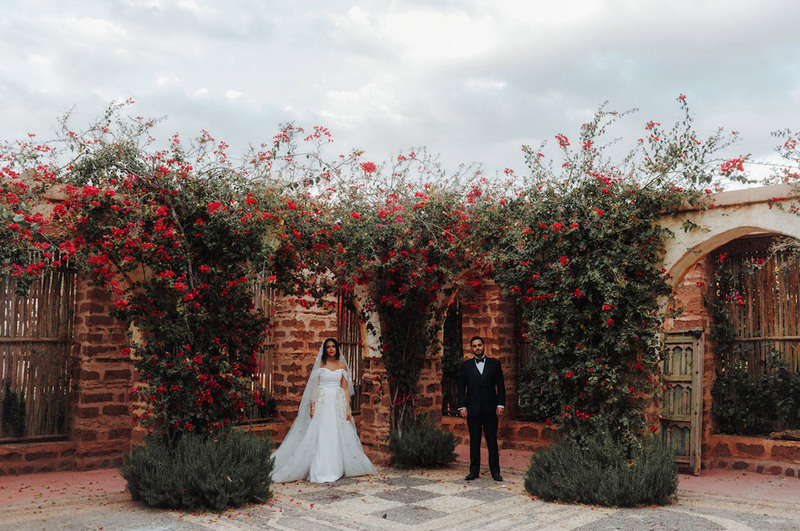 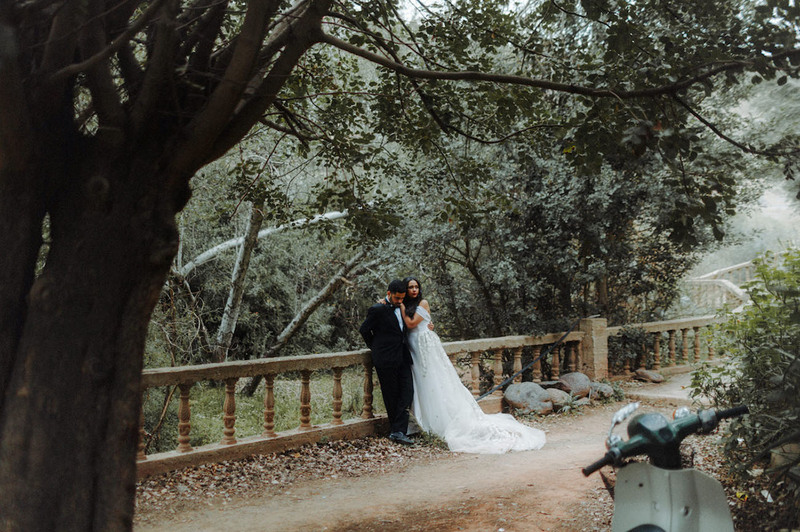 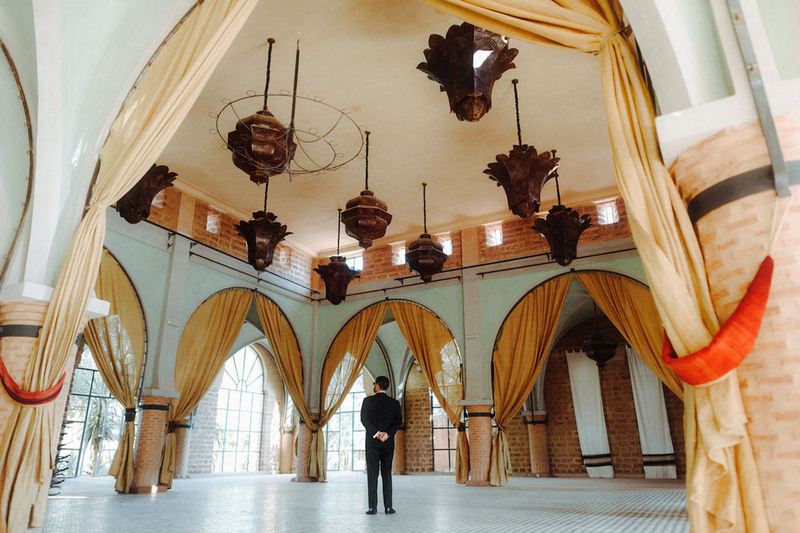 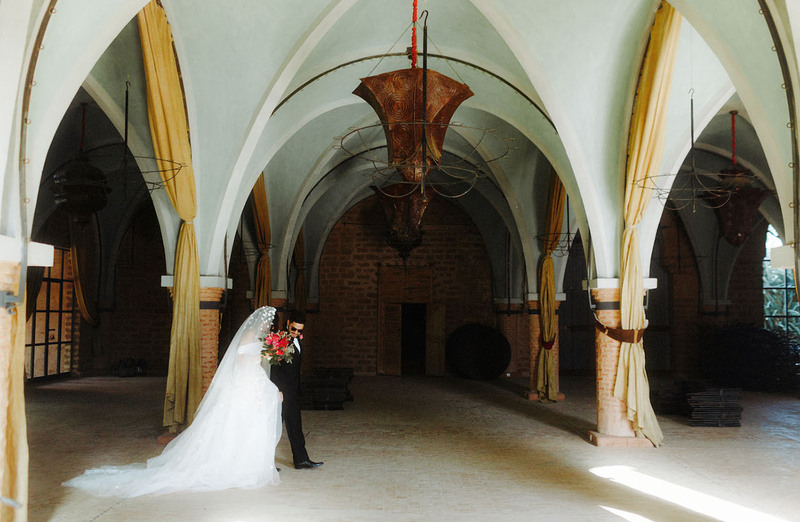 good things, and we think you’ll agree as soon as you scroll through to see more from their day, captured to perfection by Tomasz Wagner + Tim Millen of This Modern Love! 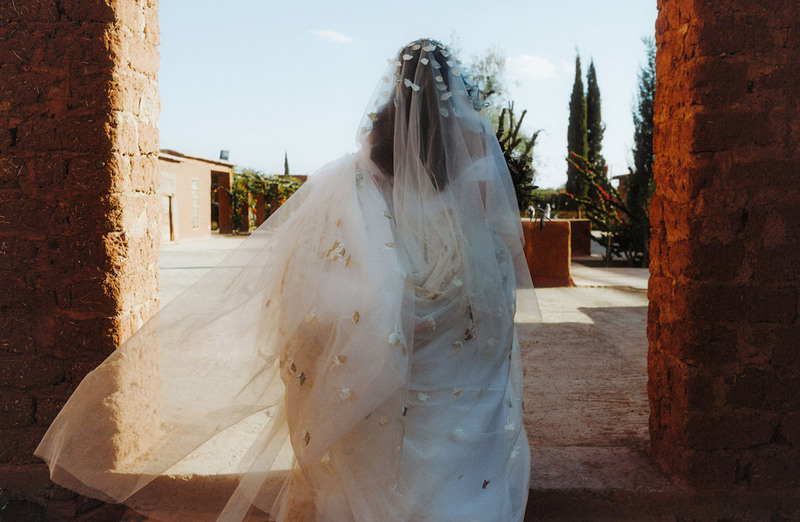 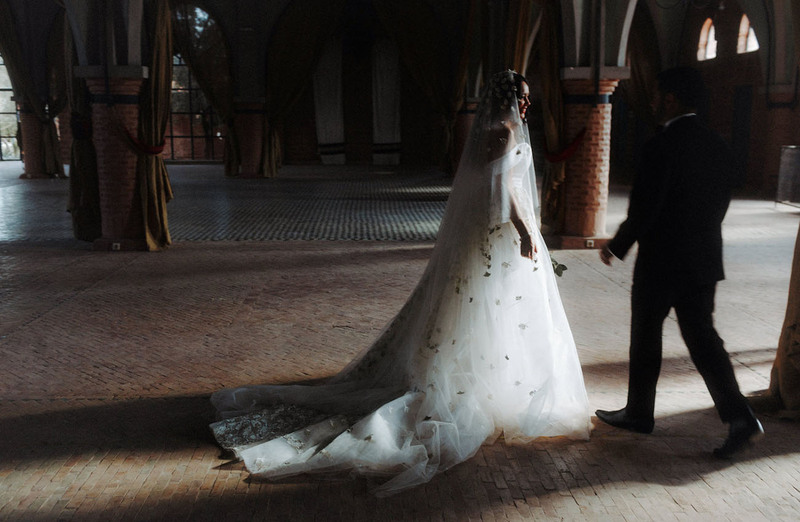 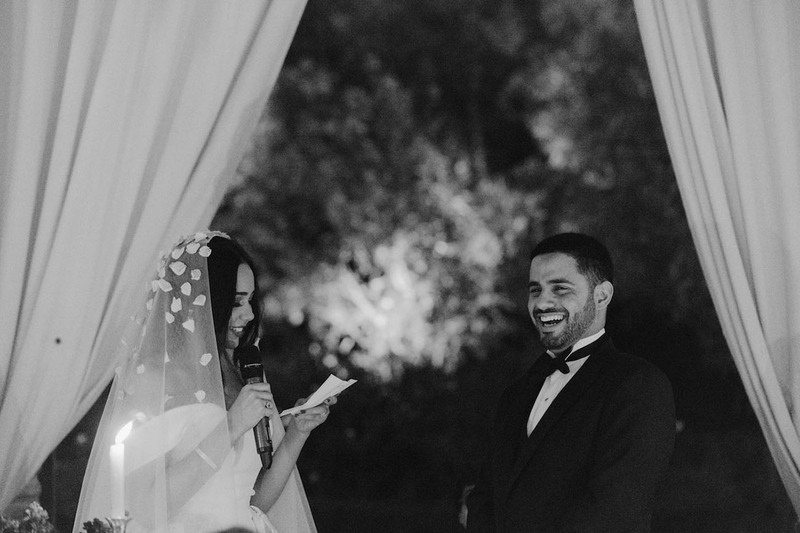 Alaa wore a beautiful, white Razan Alazzouni wedding dress, enhanced by a stunningly detailed floor-length tulle veil. 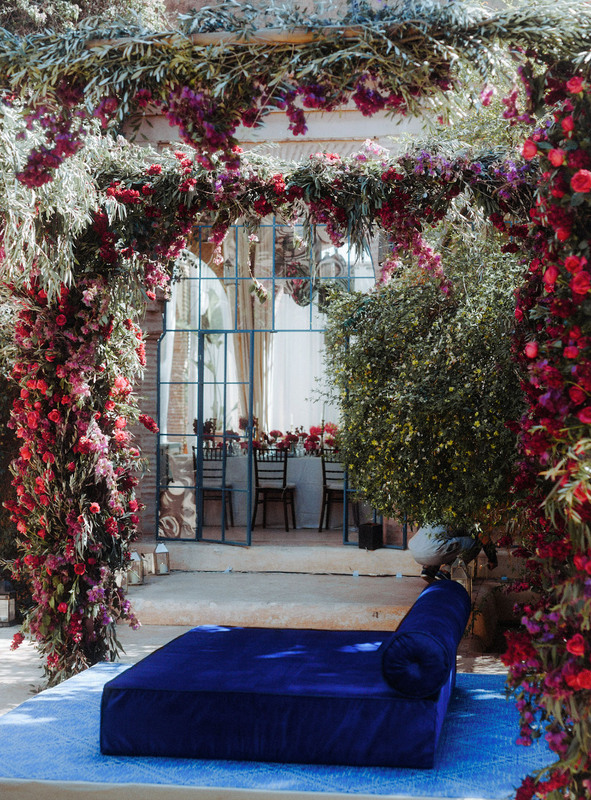 All of this bougainvillea is such a dream! 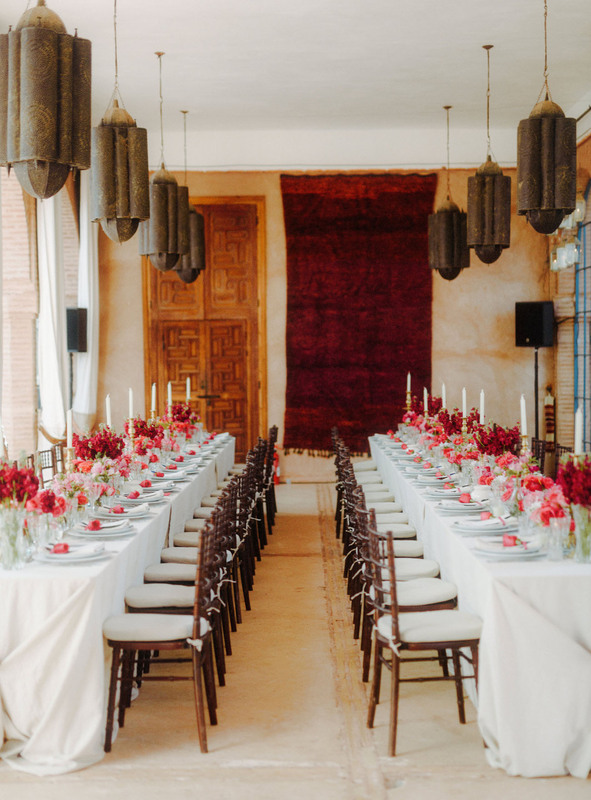 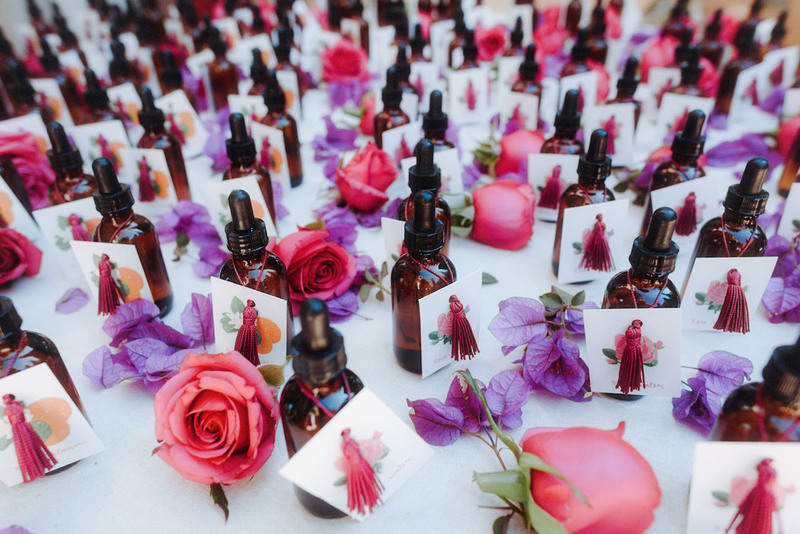 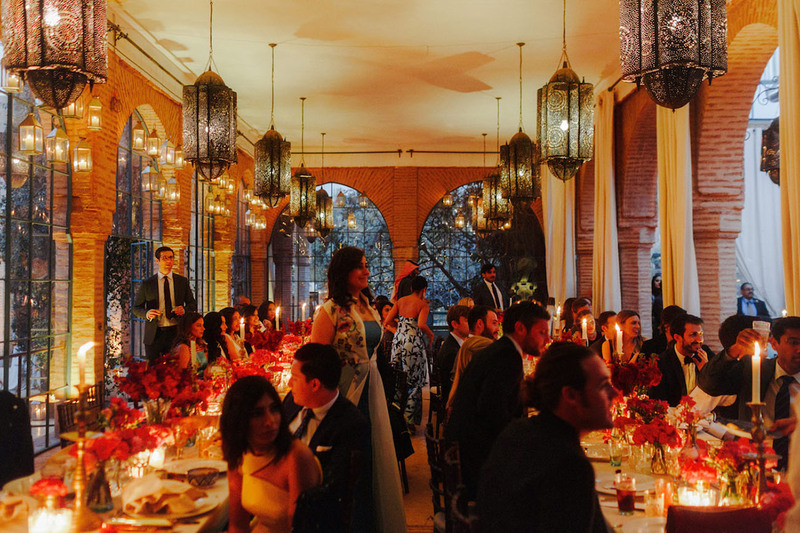 Guests were seated for dinner in an orangery where naturally grown magenta wildflowers including bougainvillea and bouquets of roses in crystal vases with hand-made Moroccan brass candlesticks decorated the tables. 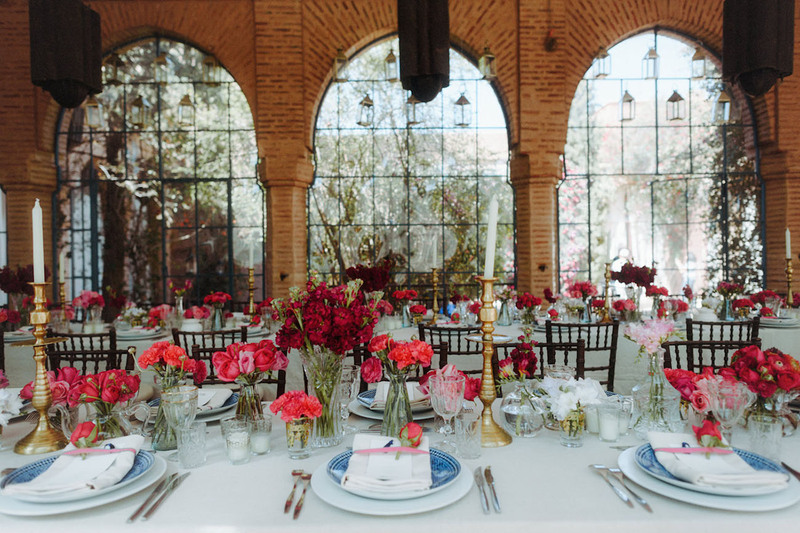 Place settings in blue and white patterned Fes (zellig-style pattern) and serving ware and gold-rimmed glassware sat beneath a single rose placed on top of the English and Arabic menus decorated with a Majorelle Blue tassel. 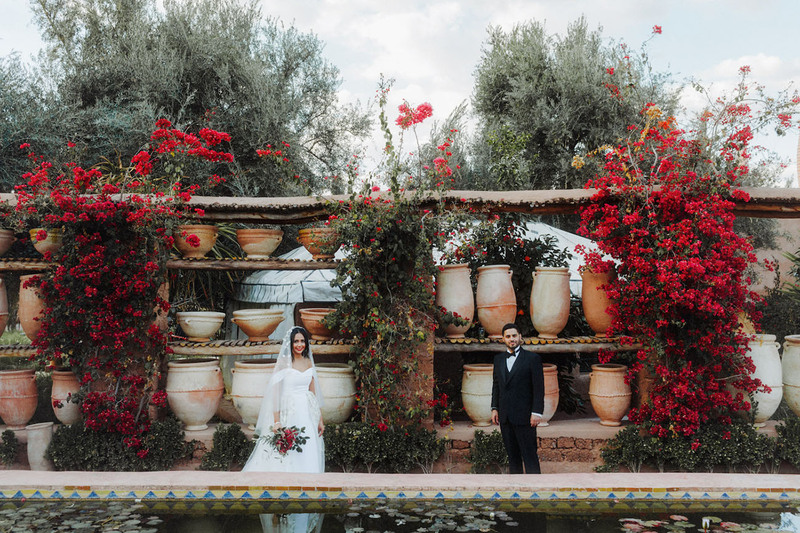 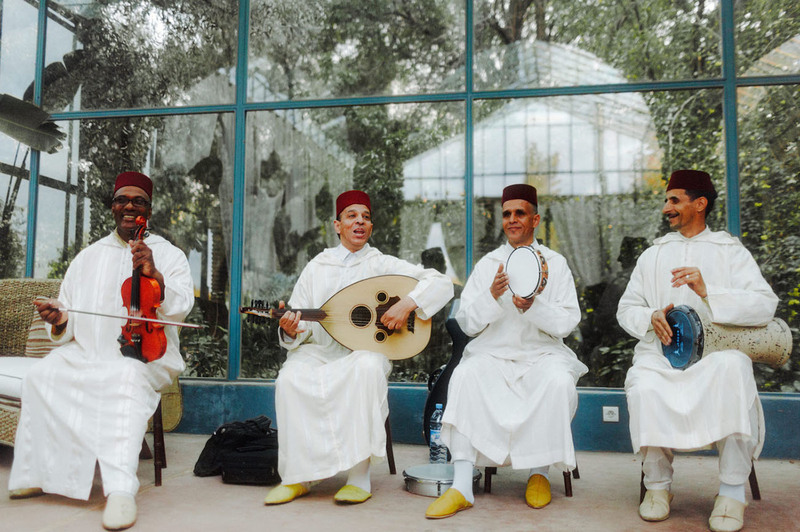 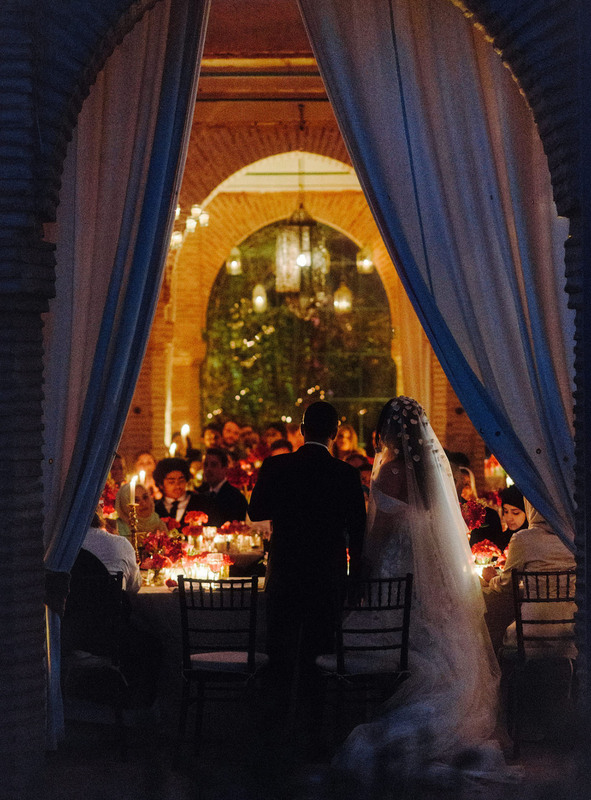 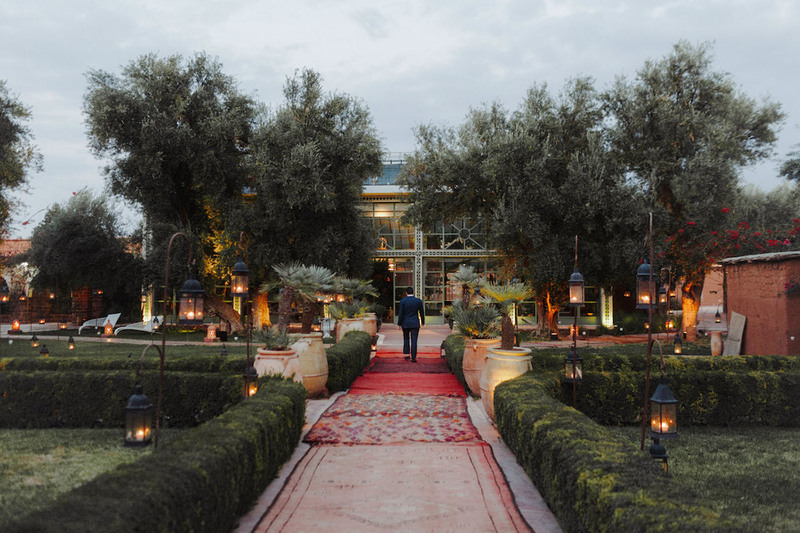 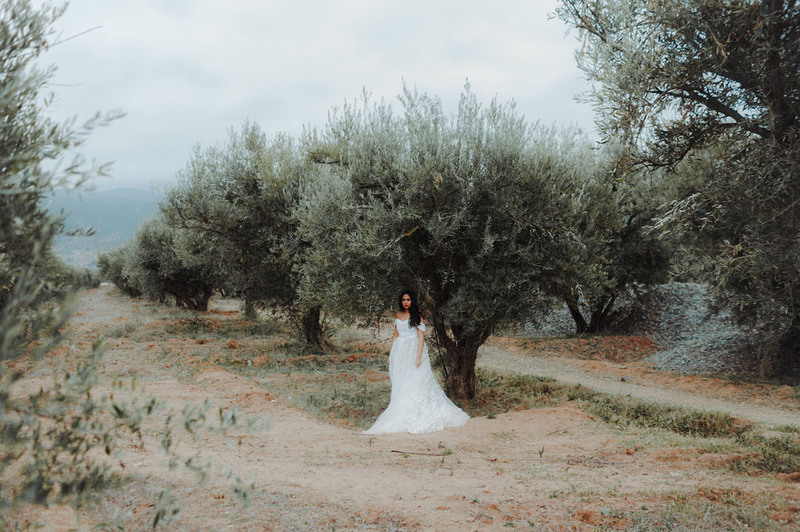 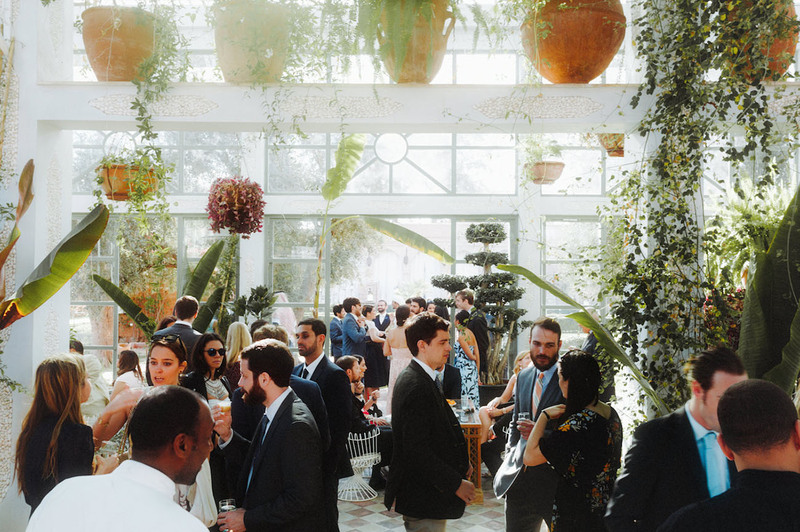 In keeping with Arabic traditions, guests were served Moroccan almonds and olives in handmade local pottery from Fes as Andalusian musicians dressed in white djellabas and red Fes hats performed discreetly in the background. 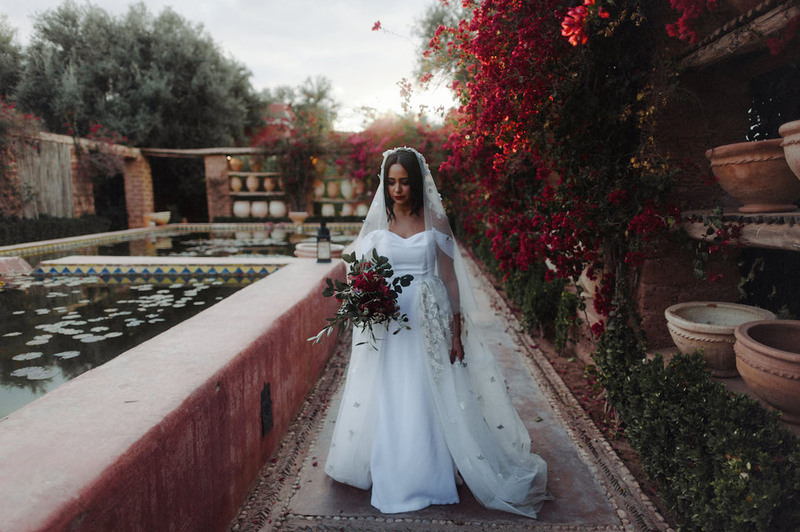 You can see even more in the lovely film below by Happy Wedding Films! 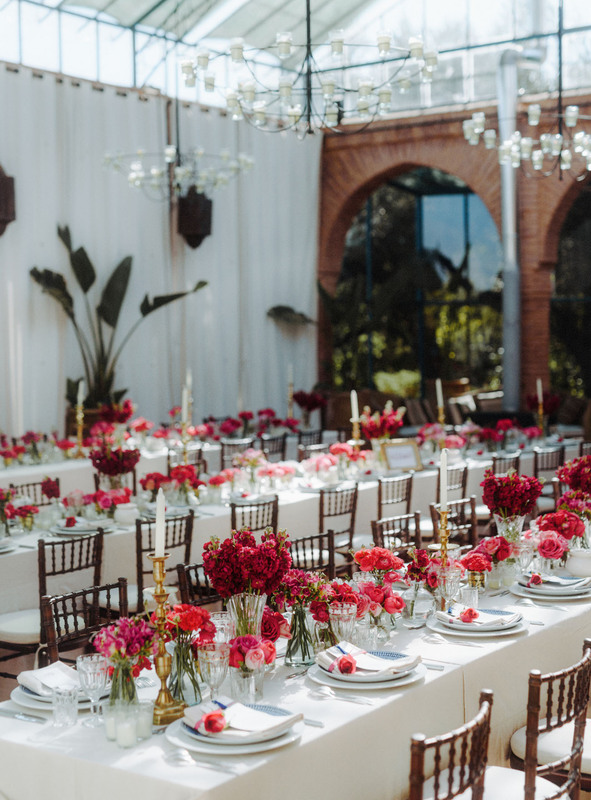 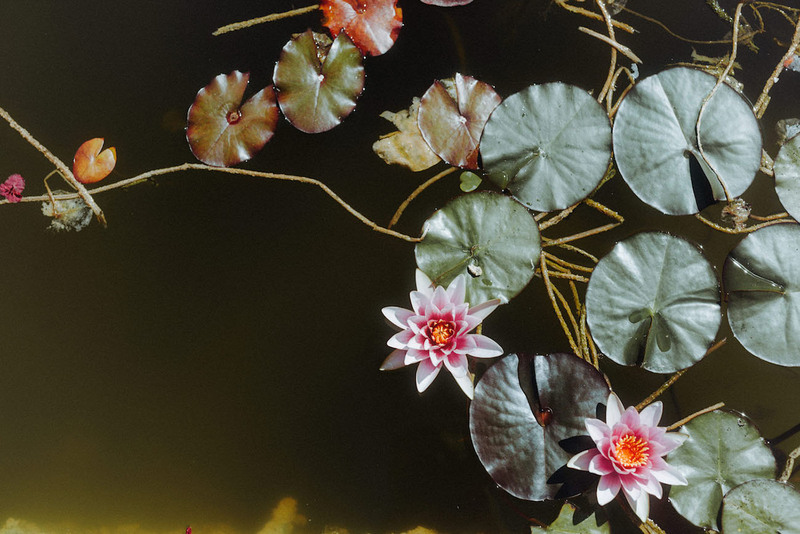 Love all the floral elements! 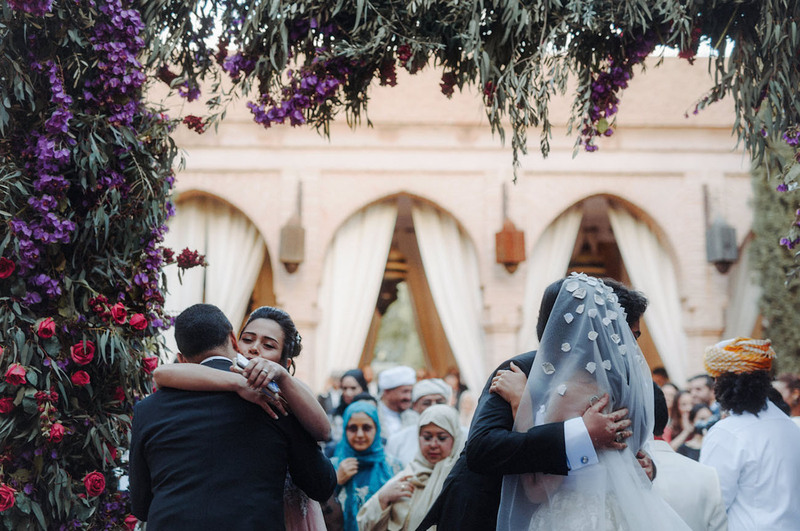 Super cute couple and the bride’s floor-length veil is perfect with that dress.